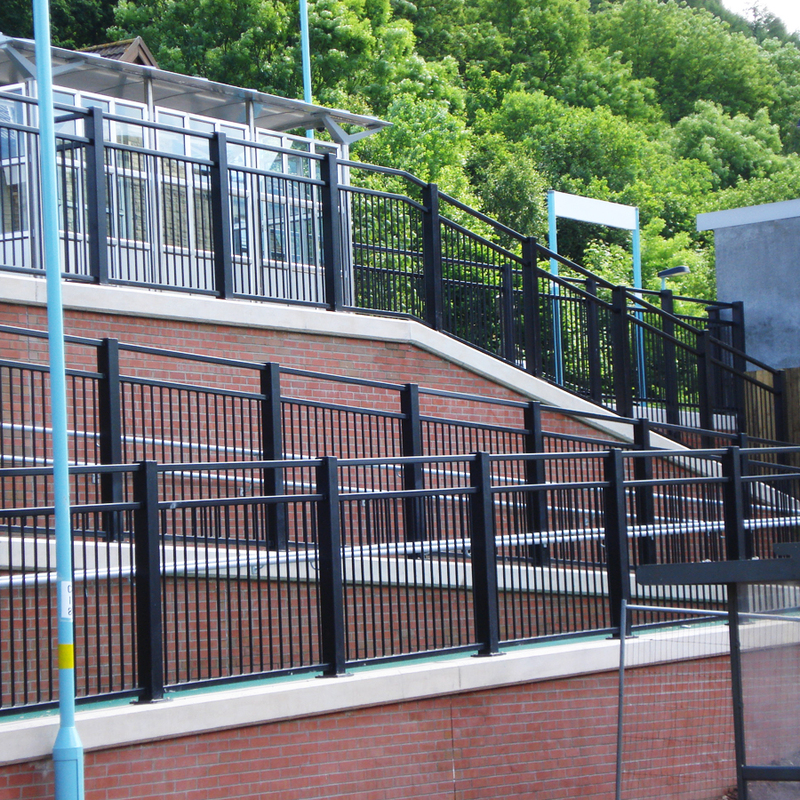 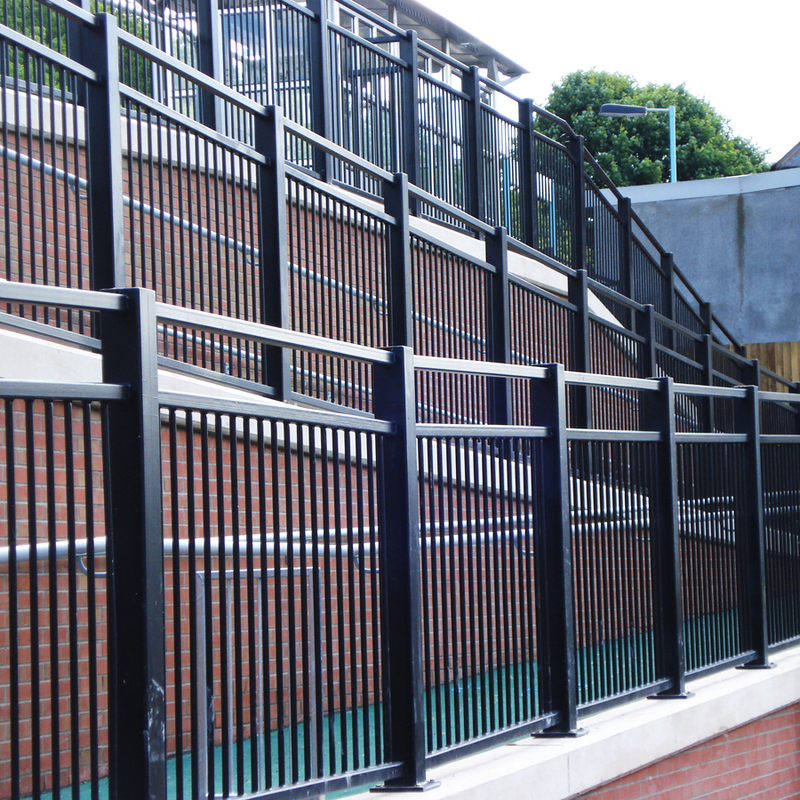 See our range of guardrail and parapet options. 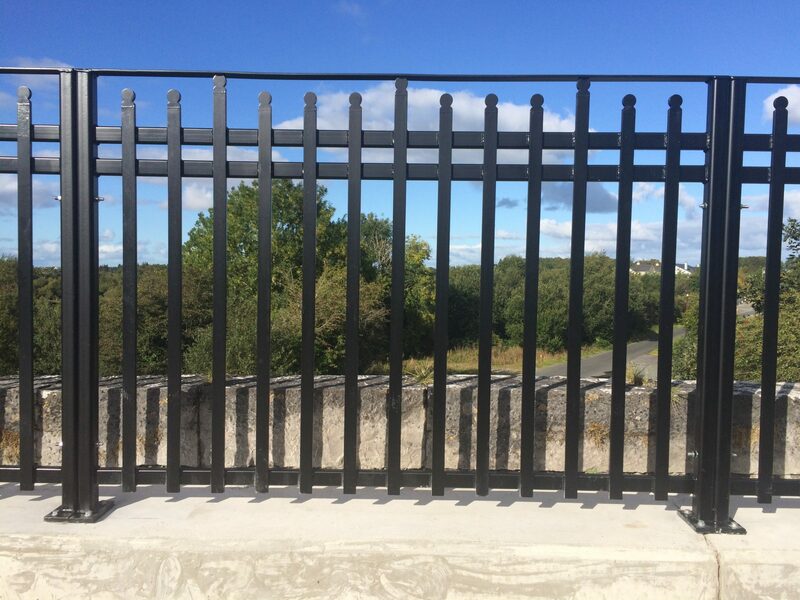 Parapet is very similar to our other guardrail systems but is usually used in areas where there is a risk of falling from a height, such as ramps, bridges, stairways, etc. 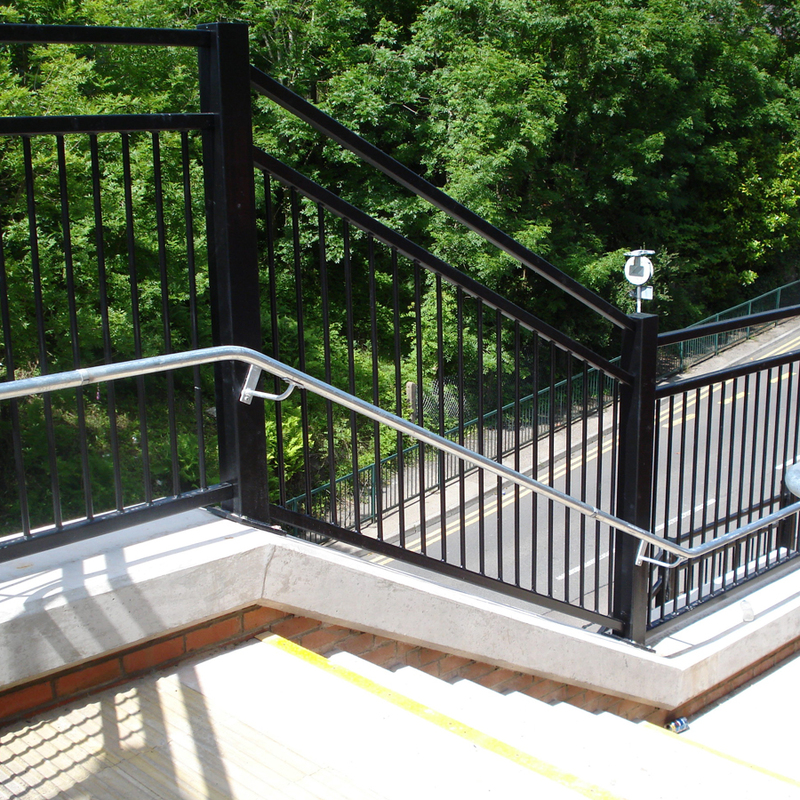 Parapet for stairways and ramps includes integrated handrails to improve safety for pedestrians. 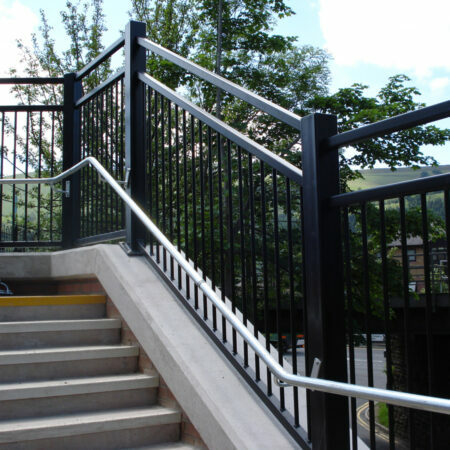 We will work with you to ensure that we can provide a product that is the perfect fit for your situation. 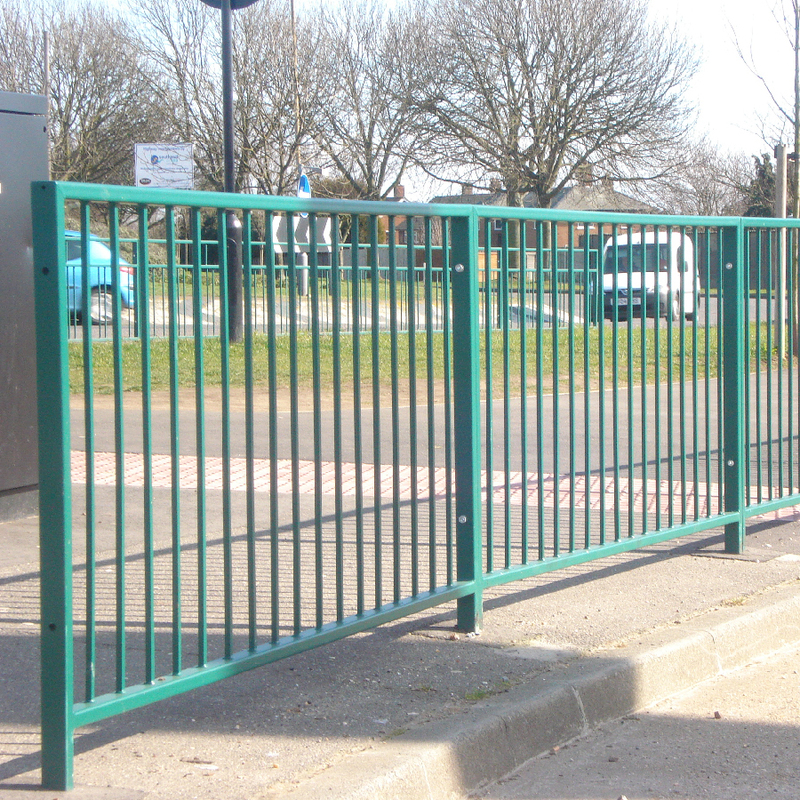 Panels available with and without sight gap. 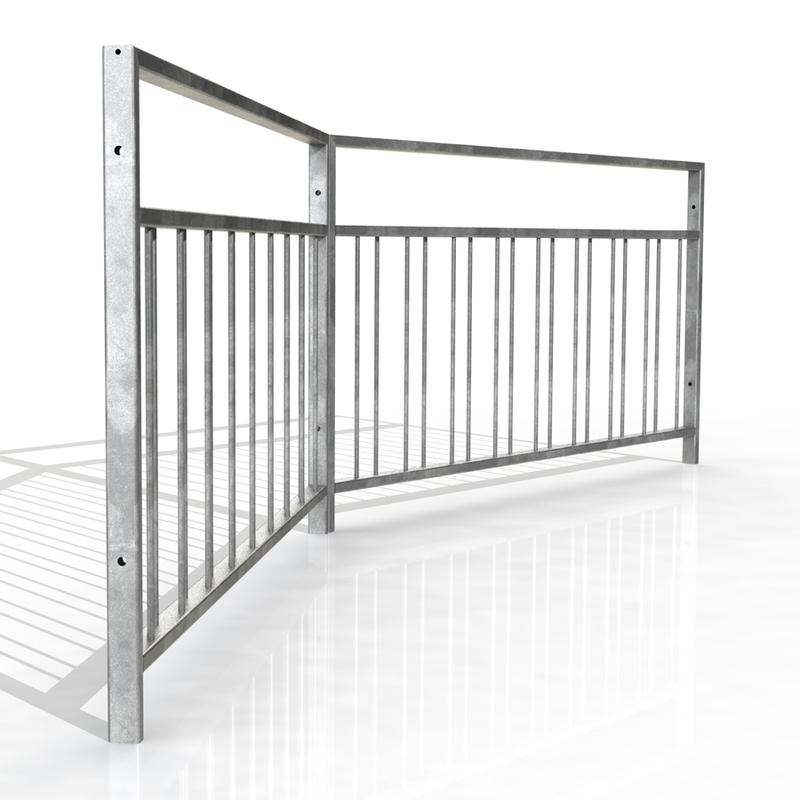 All panels are manufactured to BS7818 and comply with all UK authority specifications. 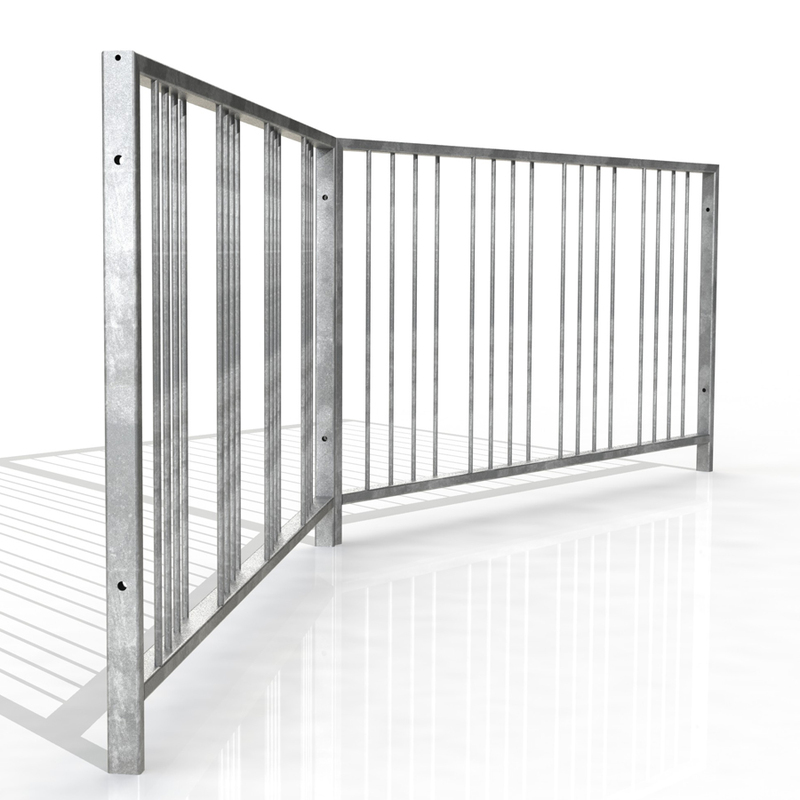 2 and 1 meter panels kept in stock. 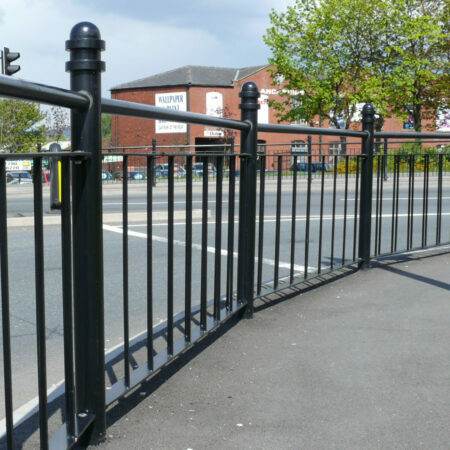 We’ve been able to help lots of customers design their own unique guardrail systems. 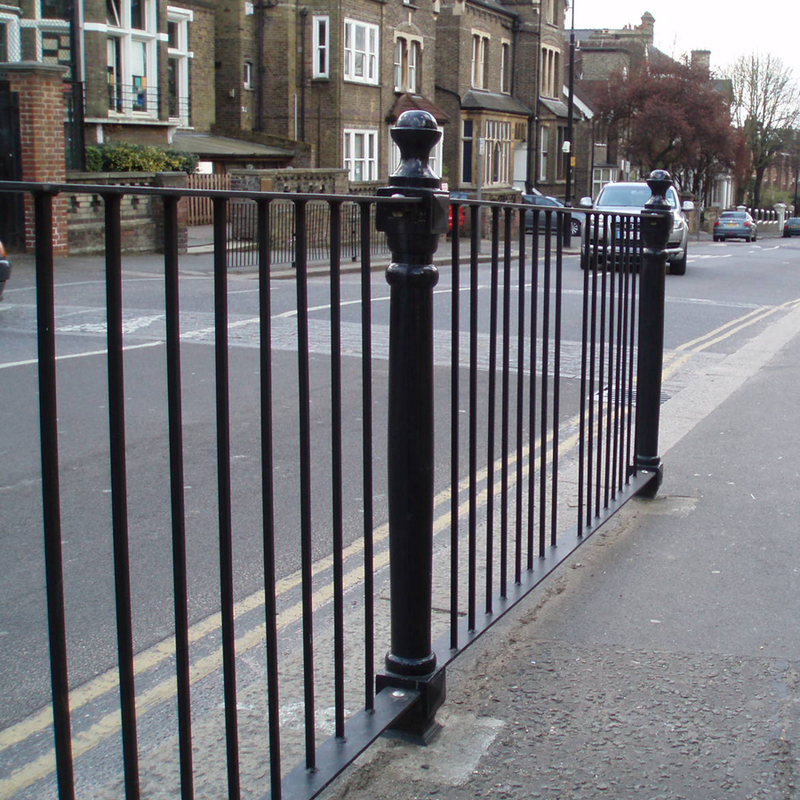 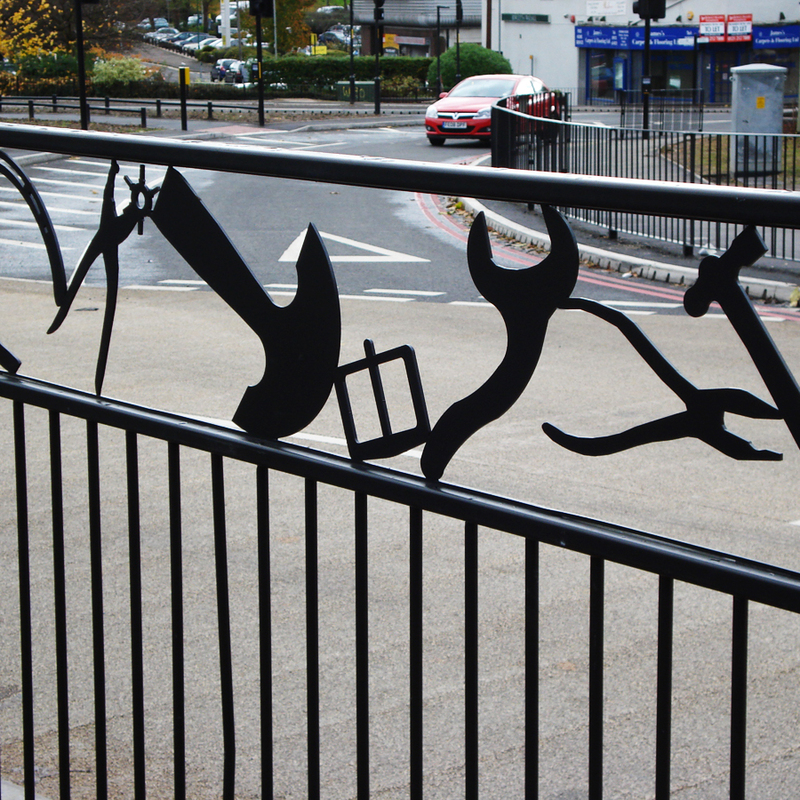 Whether it’s to celebrate the history of your local area or simply to update current guardrail, we can work with you to design a product that is the perfect fit. 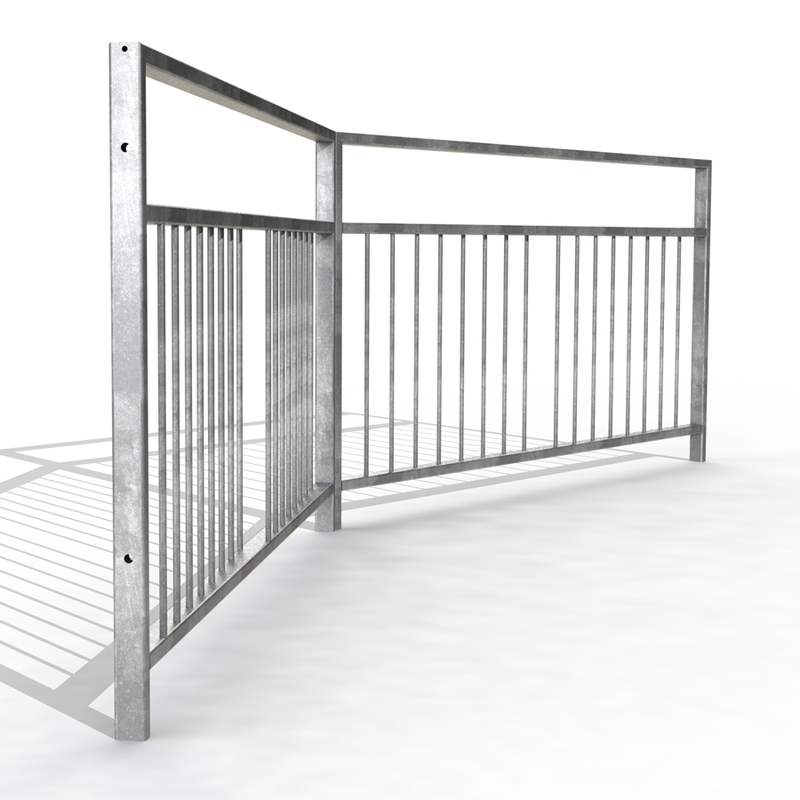 Our custom designs don’t comprise on any features found in our other ranges so you can be sure that you are getting a quality product. 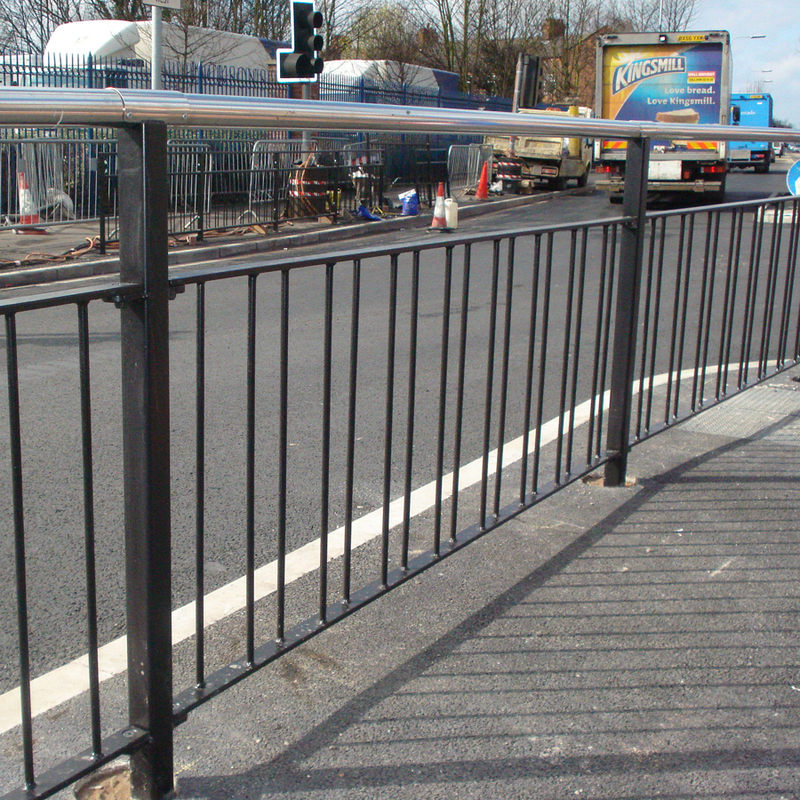 This continues to be the most popular style of guardrail we produce and can be seen lining pavements across the country. We stock both one and two metre panels with a choice of Ø12mm and Ø16mm infill bars. 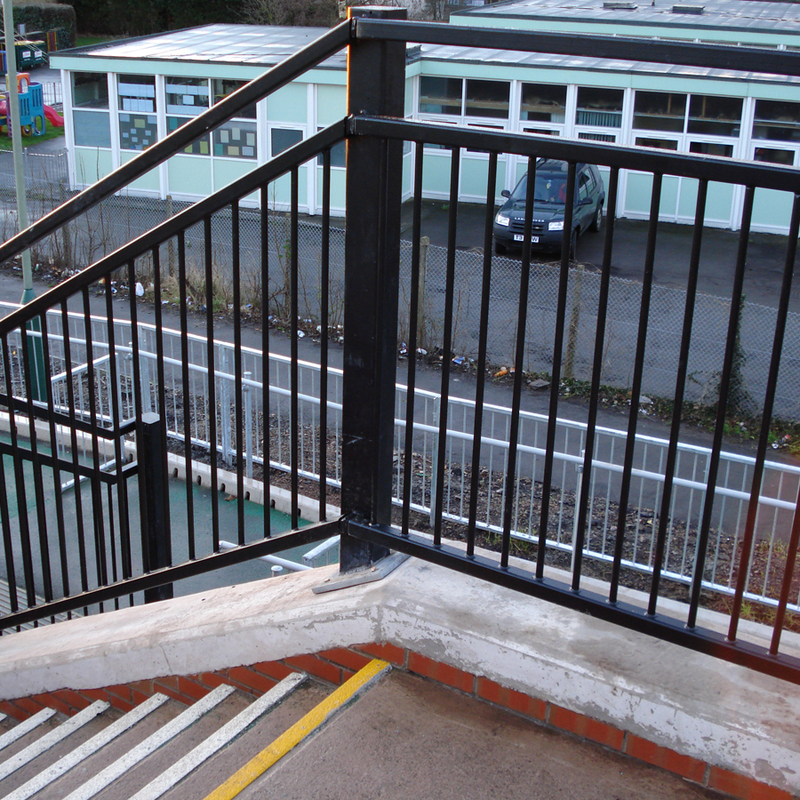 This type of guardrail can be hot dip galvanised or galvanised and plastic powder coated in various colours. 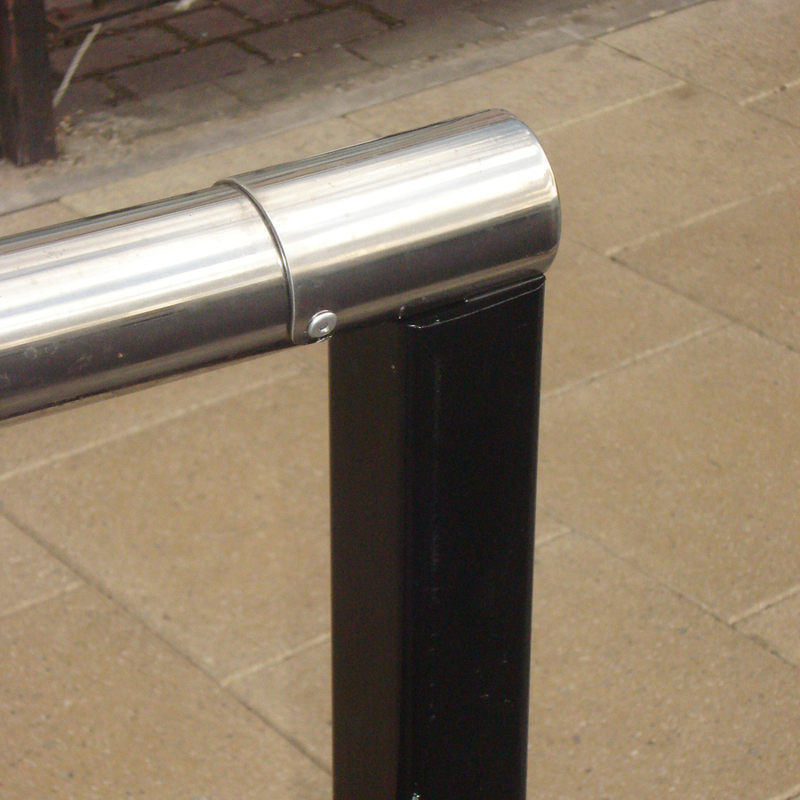 Standard panels come with integral legs but are also available with base plates. 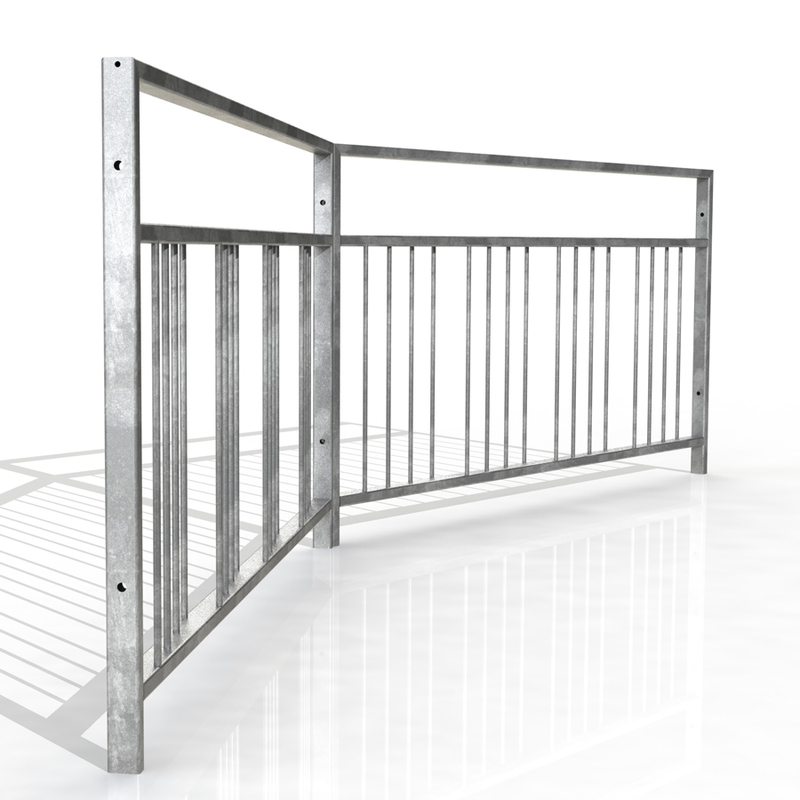 Panels available with straight or staggered infill bars. 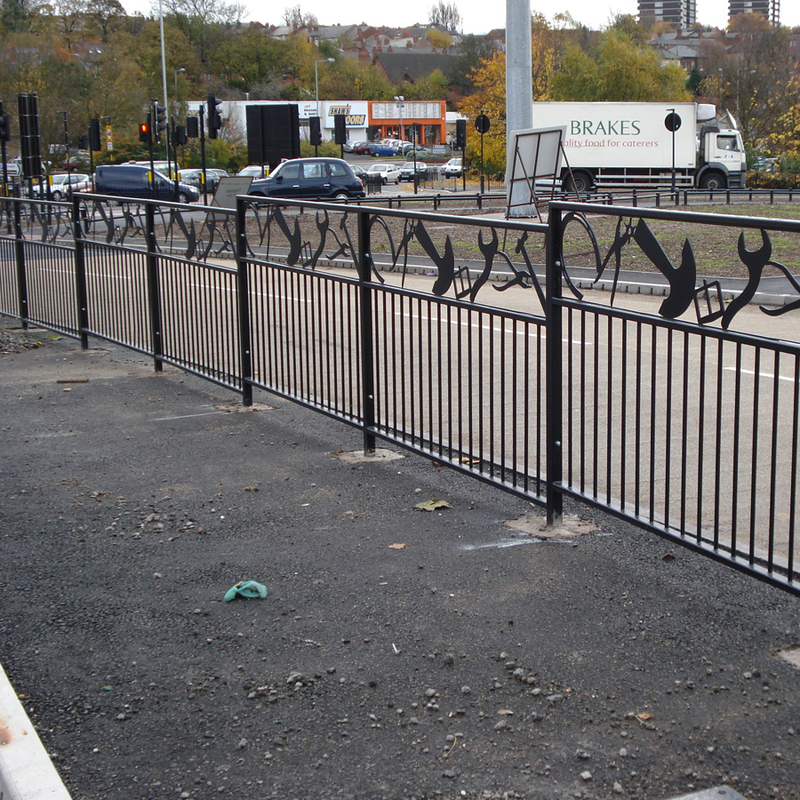 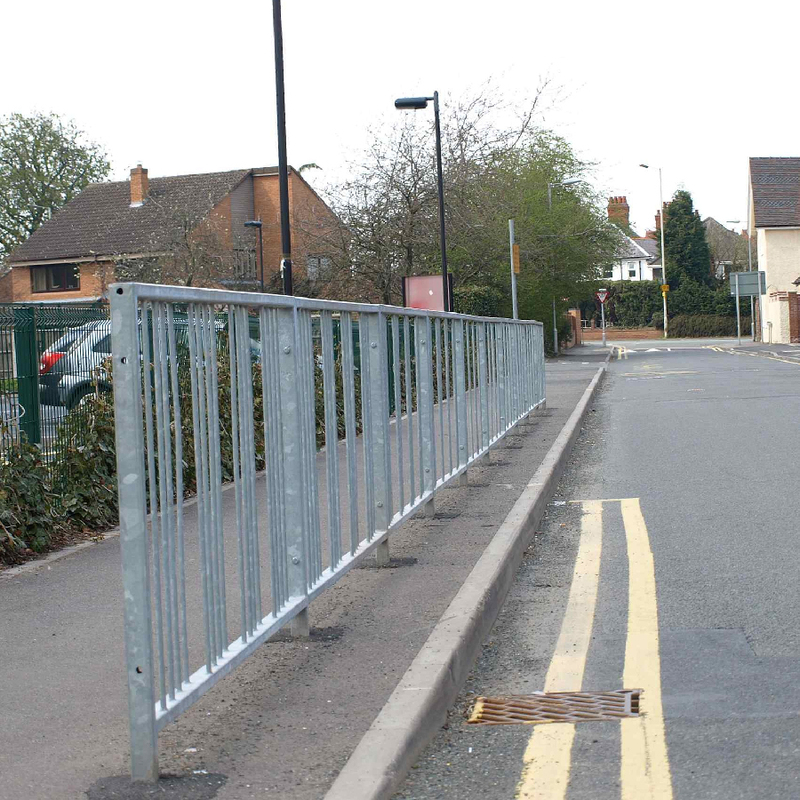 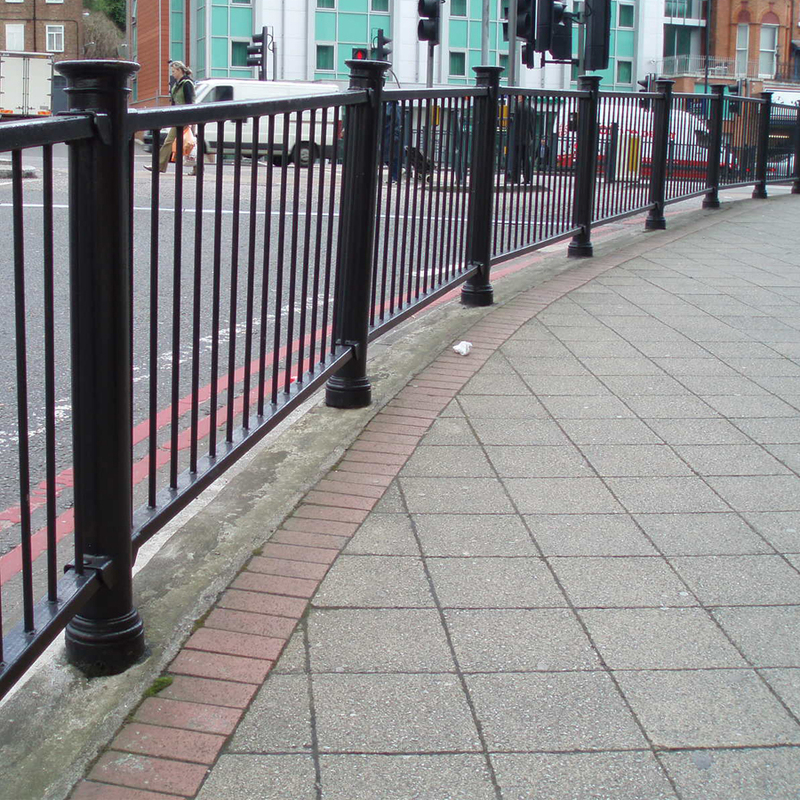 We have a wide range of ornamental guardrail that is used across the UK. 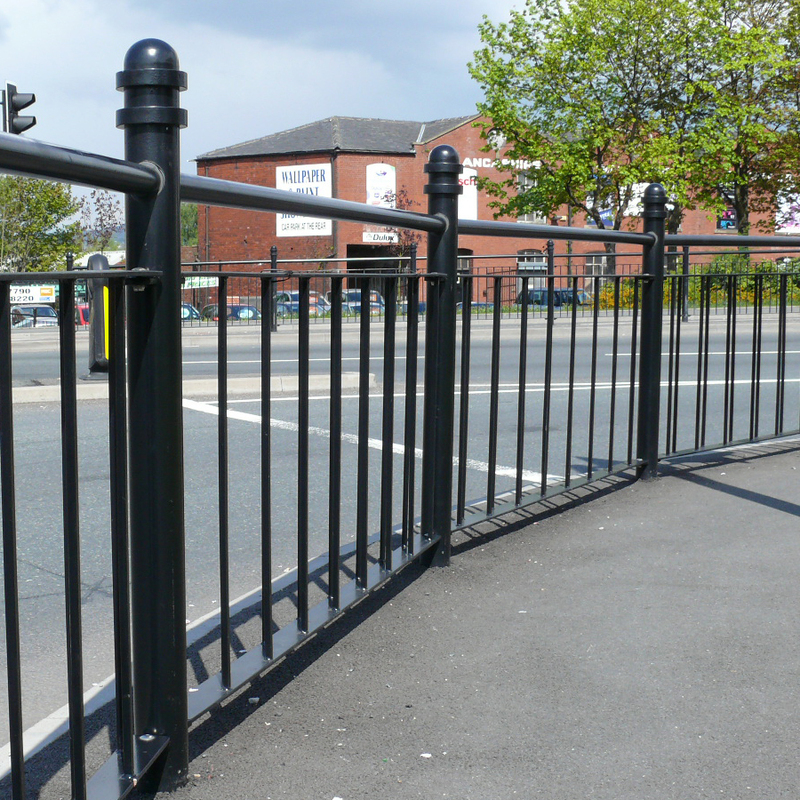 This range of products incorporates everything from our standard and high visibility guardrail ranges but also gives you the choice of our decorative posts. We are able to manufacture panels and ornamental posts in a wide range of colours and sizes to match your particular requirements. 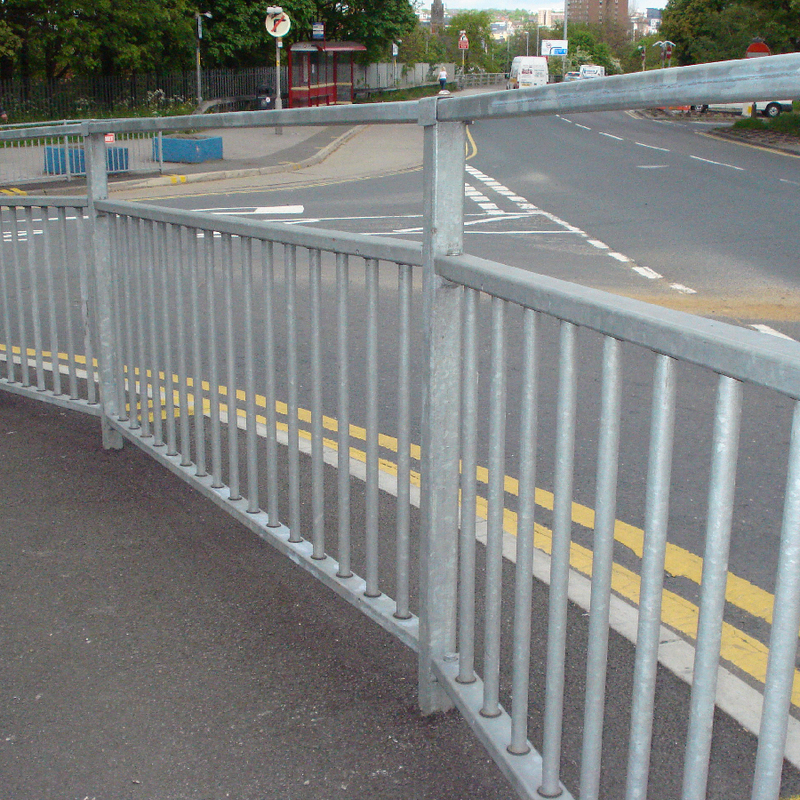 At Fabrikat we produce the widest choice of high visibility guardrail in the UK and have been used all over the country for many years. 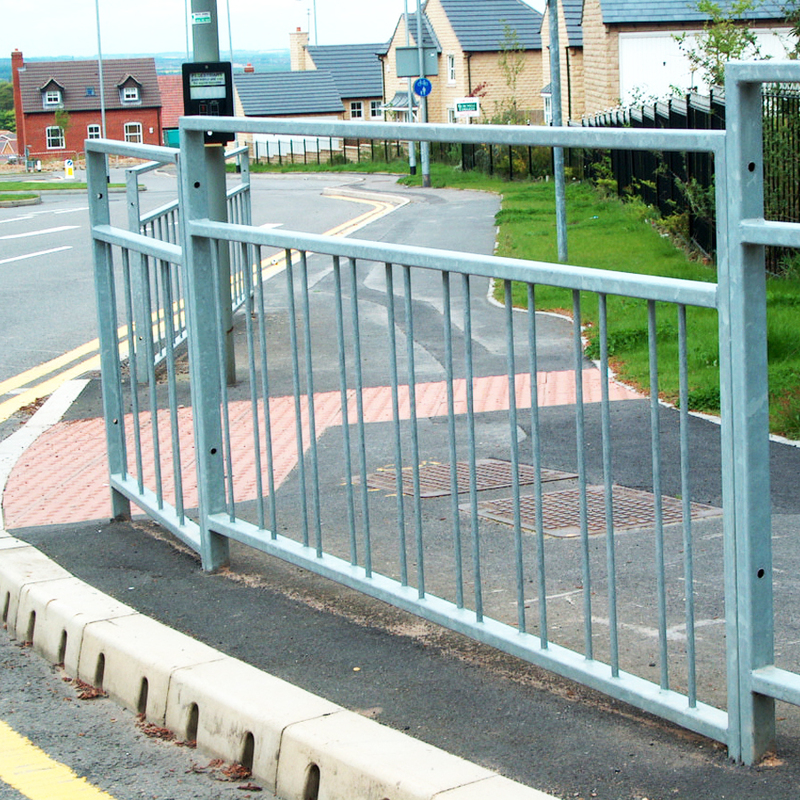 This range of panels improves visibility and safety on key sections of highway such as pedestrian crossings or outside schools. We manufacture Visirail, Vistaflex equivalent of Visiflex and Vistarail equivalent of Visirail / Optirail and Visimax. 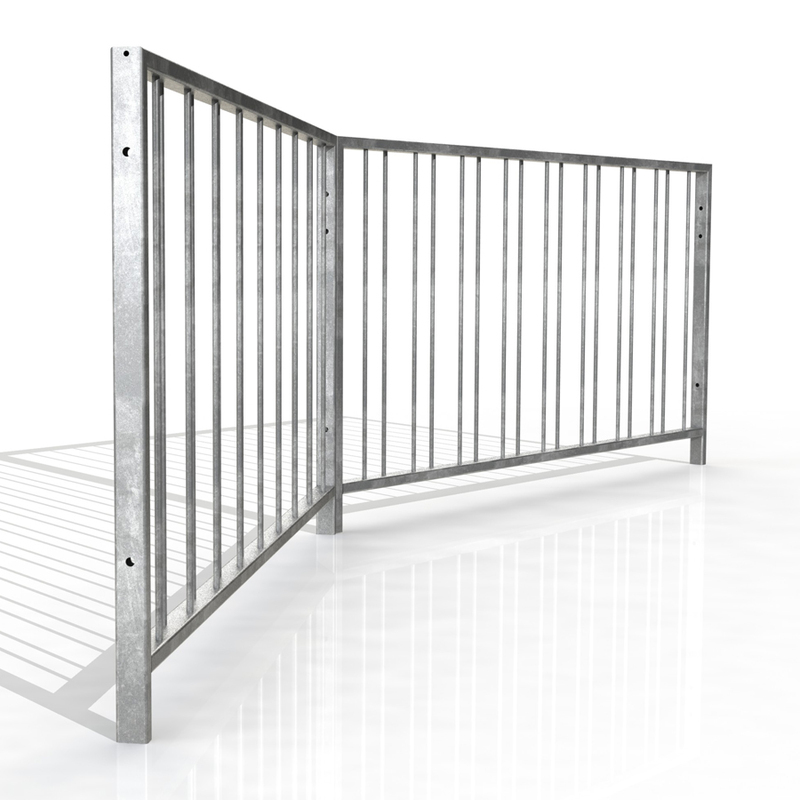 V2, V4 and V8 visibility slats are available throughout our range to maximise transparency from all angles of approach.